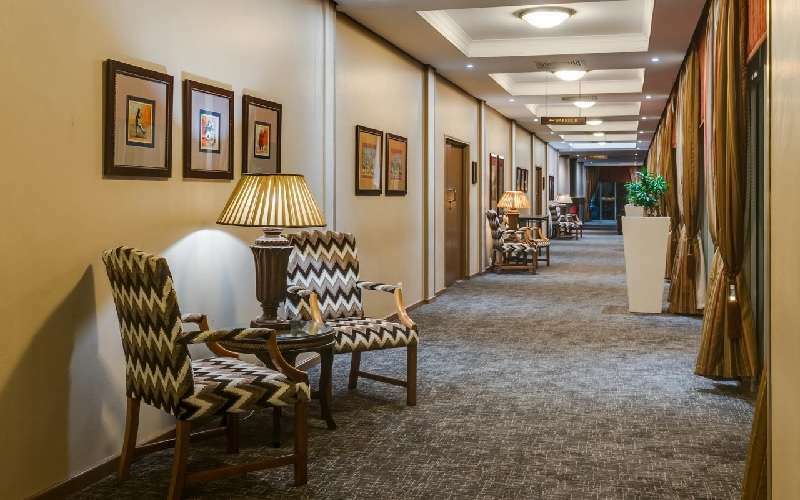 characterised by its ideal combination of excellent service, hospitality, warm and inviting rooms, convenient amenities and tasty food. 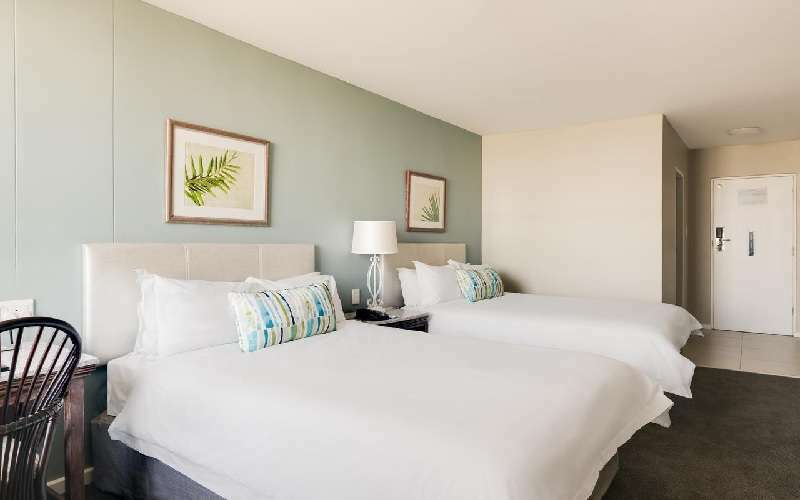 Not only are the indoor facilities great, but this hotel also benefits from its situation between the pristine beach and the serene lagoon. 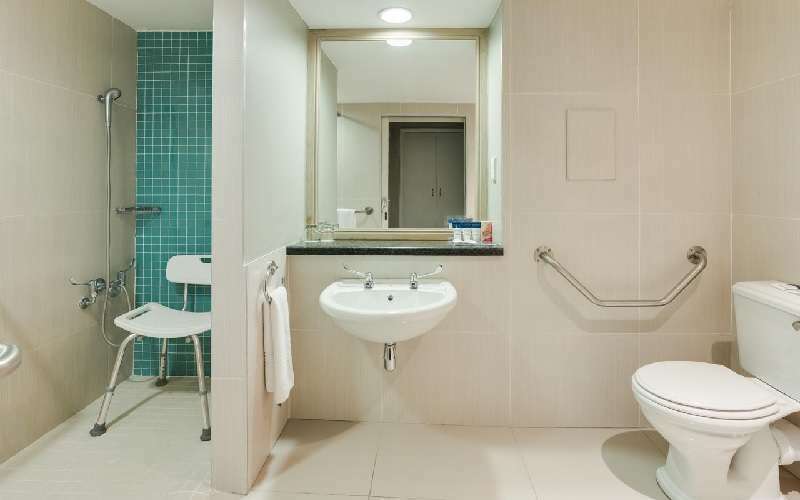 This makes it the ideal holiday accommodation for fun families and couples, while its professionalism and central situation make it equally ideal for corporate guests. 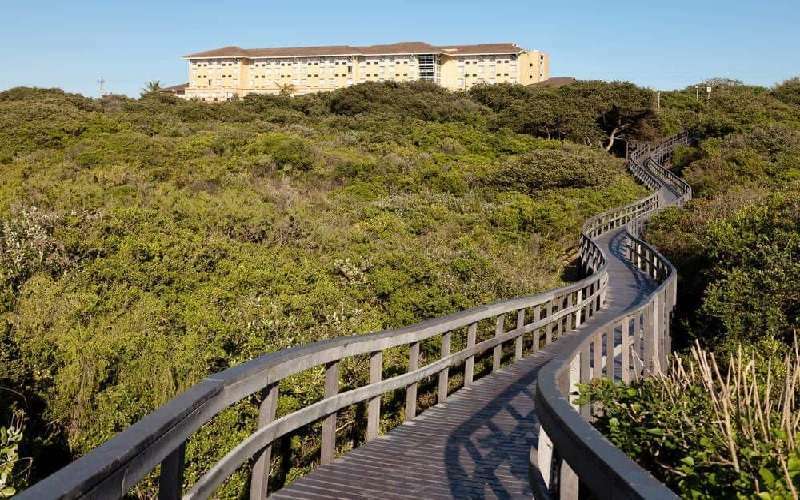 The beach is even wheelchair-accessible via a new boardwalk. In addition to the hotel, there is also a caravan park available for guests who prefer to travel in this way. 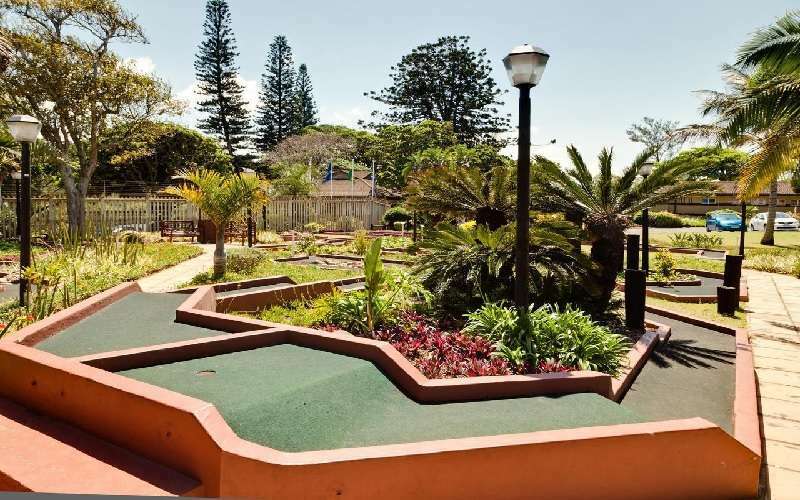 This park has won awards for its excellent facilities and is sure to provide the best spot for a real country getaway. 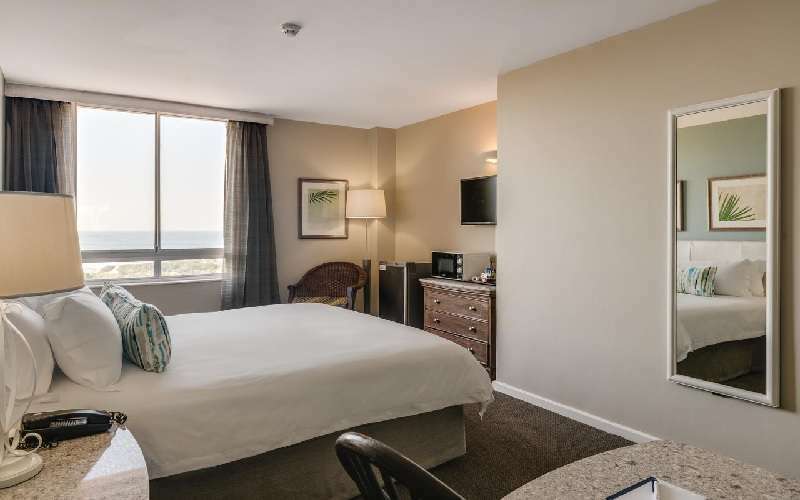 There are 81 comfortable and elegantly furnished rooms available at the Protea Hotel Karridene Beach. 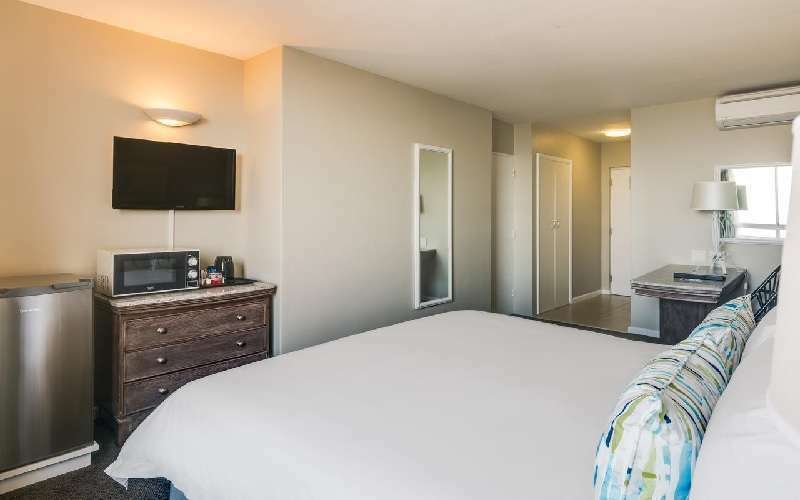 Of these, 56 have two double beds and 22 have one king-size bed. 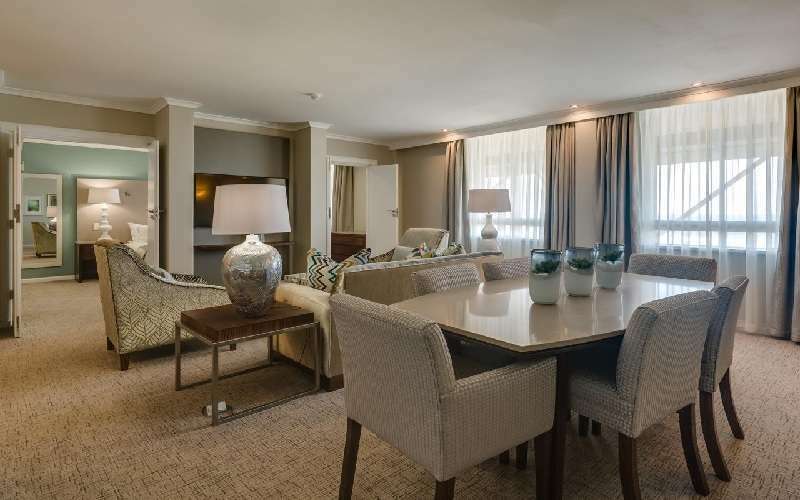 Two are Junior Suites, which have separate bedrooms and there is one luxurious Presidential Suite. The Oakwoods Restaurant is open for breakfast, lunch and dinner and promises hungry diners a meeting of exquisite flavours and equally beautiful views. This glass-fronted restaurant overlooks the Umzimbazi Lagoon, offering guests the ultimate in peaceful surrounds while they savour their meals in true African style. The décor is elegantly understated and boasts granite tables, beautiful linen and cane chairs. 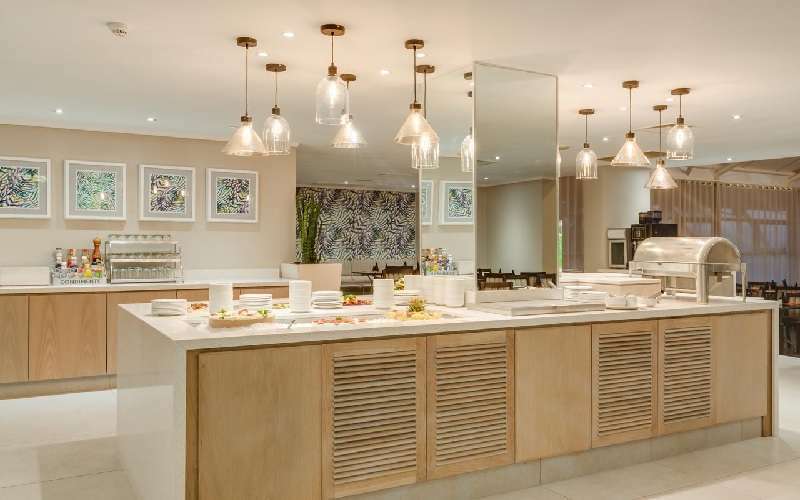 The bar allows thirsty guests to relax in a lovely ambience while they sip on a refreshing wine (South African wines are world-renowned), a refreshing beer or a cosy nightcap. This bar also has an outdoor terrace overlooking the crystal waters of the swimming pool. 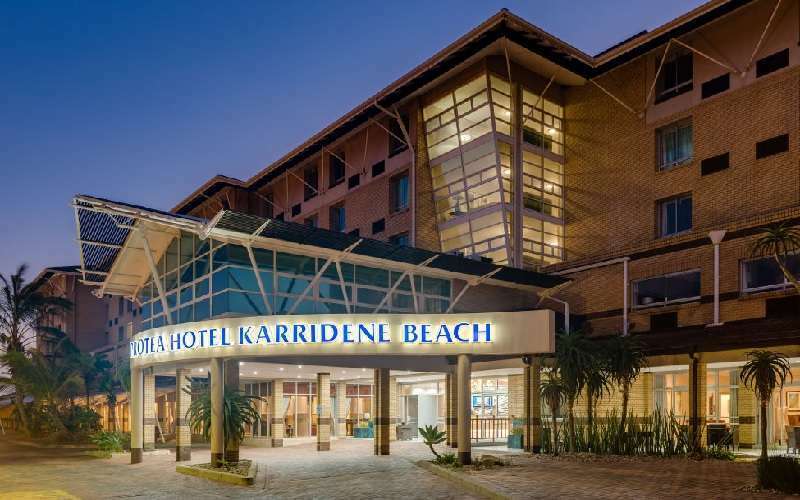 The Protea Hotel Karridene Beach Resort is perfect for corporate guests or teams. 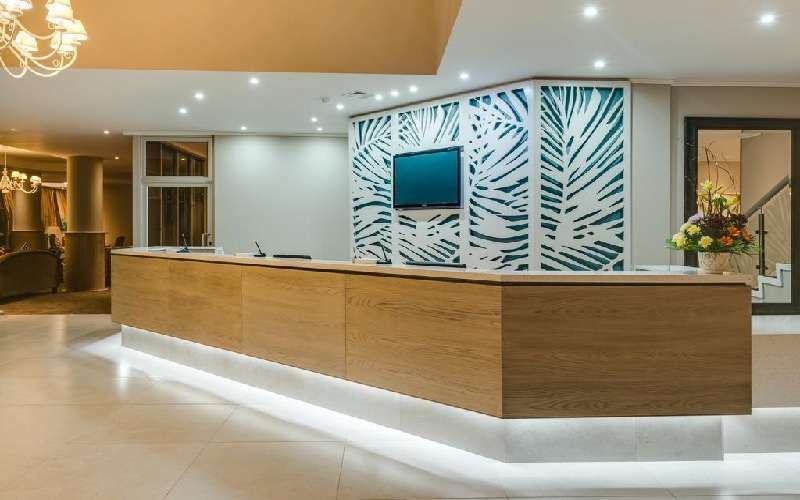 The conference facility can accommodate between two and 200 delegates in eight separate rooms. These venues include rooms with gorgeous ocean views and place to dance. 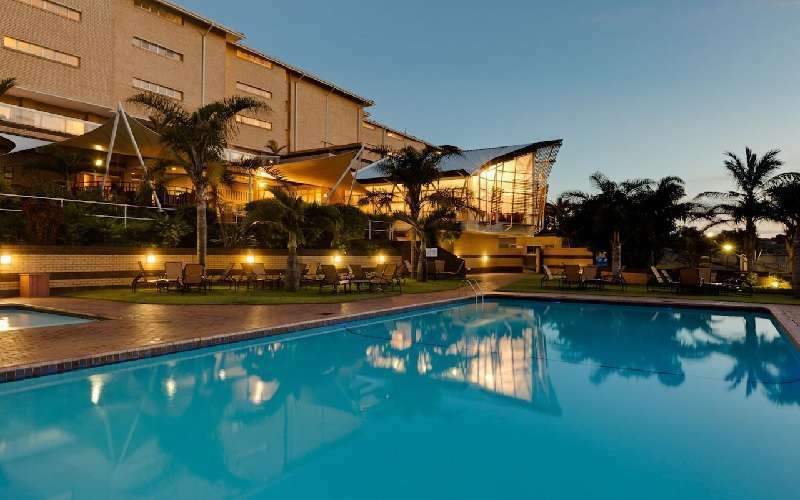 Teambuilding events are hosted at this hotel, making for an all-round accommodation venue for corporate getaways. 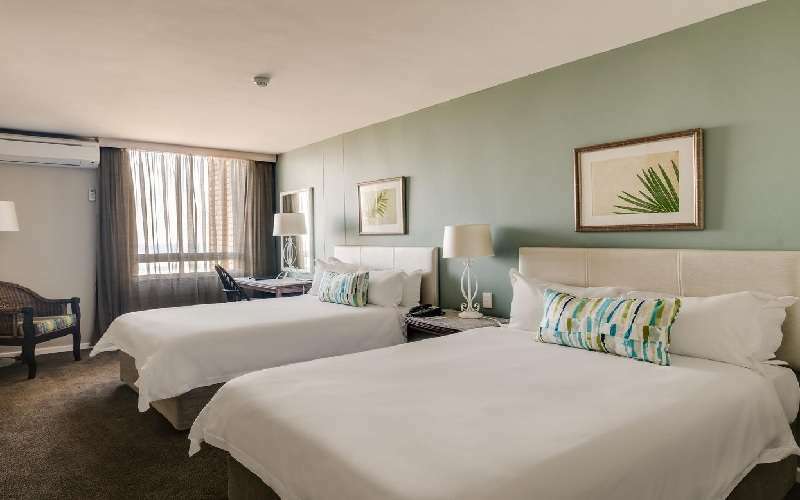 Nearby facilities include the crocodile farms, a variety of top-notch golf courses, the Aliwal Shoal, deep sea fishing and shark cage diving. 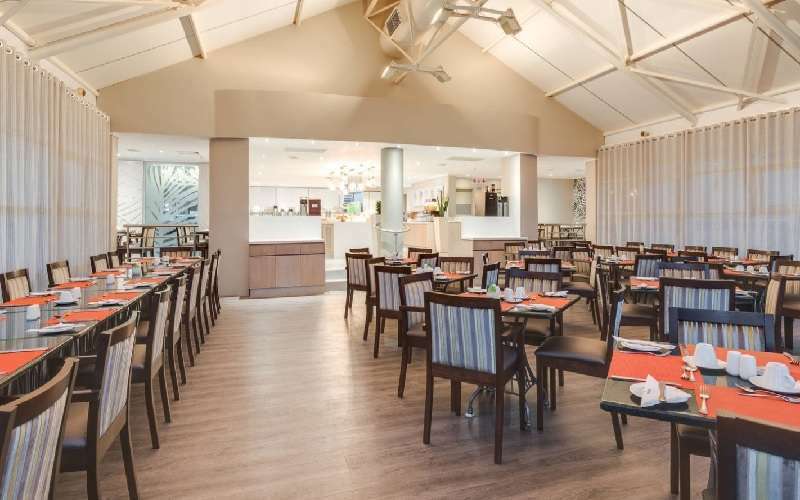 The Protea Hotel Karridene Beach Resort is situated within a particularly lush and abundant area of South Africa, giving it the distinct advantage of being surrounded by some of Africa's most beautiful fauna and flora. Game viewing is a favourite activity amongst guests and locals alike. The Pavilion Shopping Centre is only 30 minutes' drive from the hotel and is the biggest mall in KwaZulu Natal. It is full to the brim of retail outlets with clothes, shoes, entertainment, appliances, furniture and more. There are also restaurants and take-away facilities here for avid shoppers to refresh themselves before returning to the shelves.